Alistair comes to Transition from the Dundee based charity Solar Cities Scotland where he managed a team of staff delivering behaviour change projects and promoting sustainable energy. Prior to this he was manager of a Development Trust based in Dundee that undertook Social, Physical and Environmental projects in an effort to build a sustainable urban community as part of an £85 million award winning regeneration scheme. 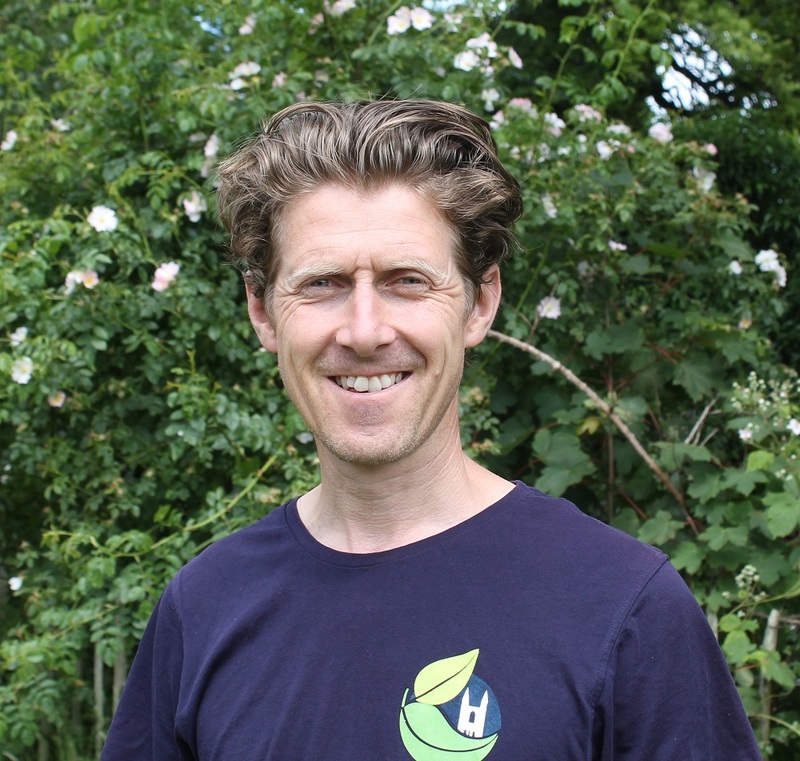 After studying a Marine Biology degree at Queen Mary’s he spent 3 years at sea working for an Environmental charity before settling in London, where he undertook stints at Greenpeace, City Farm and regeneration charity Groundwork. In his spare time he enjoys sailing, working in his allotment and running a local car club, and Wheelshare. Andrea is a keen lover of growing food and herbs and has been working with Transition since 2014. She completed her Bachelor of Arts in Canada with a degree in Politics and Peace and Conflict Studies. Upon moving to Scotland she continued a college education at Elmwood in the field of Horticulture followed by a Diploma in Herbology at the Royal Botanic Garden Edinburgh. 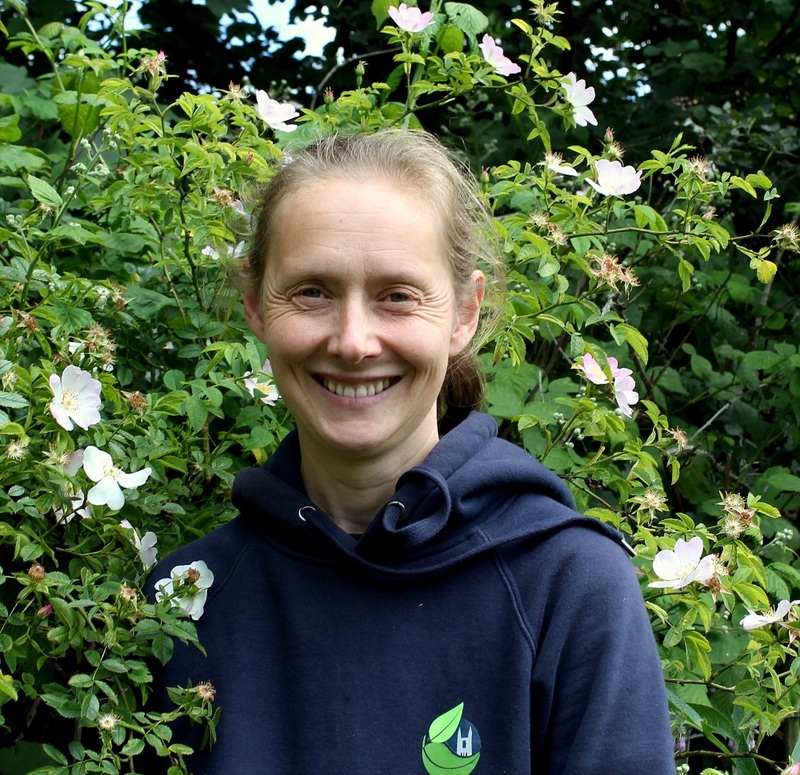 While studying, Andrea began working with local nurseries to develop garden spaces and an Outdoor Learning Programme for youngsters to learn about food growing, wildlife and nature. 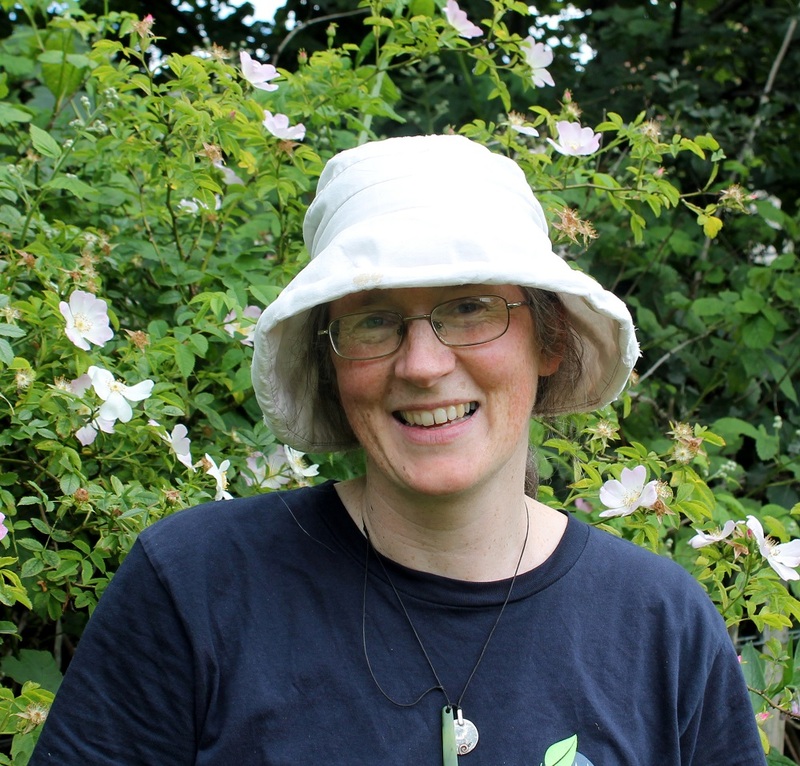 She also became a Tutor at the St Andrews Botanic Garden where she continues to share her enthusiasm for nature. In her spare time she enjoys traveling, walking, taking pictures and painting. Helena has been growing plants in one form or another for decades. Completing a Botany Degree and a PhD at Glasgow University, before working as a Post Doctoral Researcher using Arabidopsis as a model plant. Since moving back to the East coast, Helena has been volunteering and tutoring at the St Andrews Botanic Gardens. At Transition, she is now working with Andrea to support the local community growers in the Edible Campus Gardens. In her spare time she runs a Food Co-op, tends her own fruit and veg, makes jam, chutney and other preserves, and also keeps insectivorous plants. 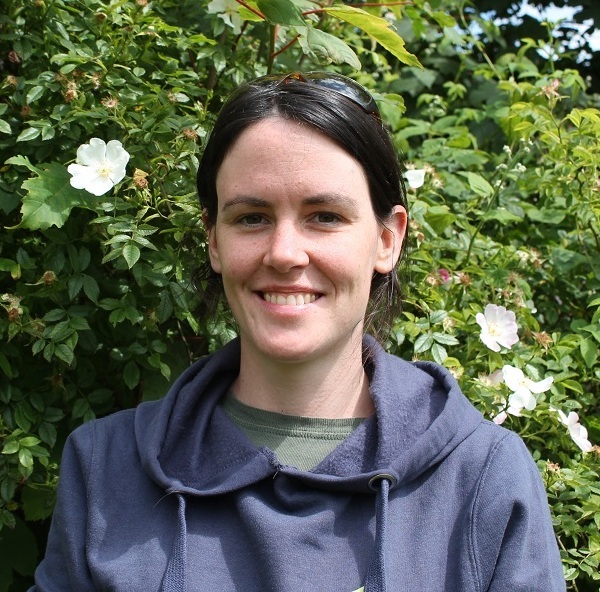 Tansy has an MSc in Environmental Science from Brunel University and has worked for a number of environmental charities in the UK and Ireland, Including the British Trust for Conservation Volunteers and Greening Temple Bar. 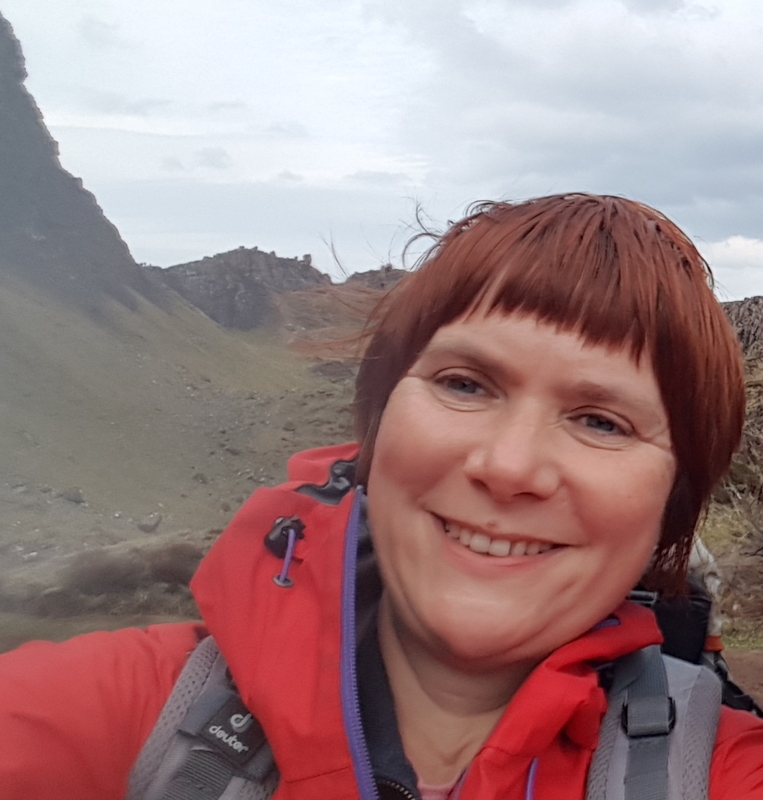 As the mother of two young boys she is passionate about environmental education and is one of the Directors of The Secret Garden Outdoor Nursery, she also runs Fife Nature Kids which promotes Art, Science and Environmental projects throughout Fife. Tansy is a Sea Champion with the Marine Conservation Societyand organises regular beach cleans. She has worked as a seaweed harvester for Mara seaweed. Tansy is passionate about a low carbon future and bringing the community together to move towards that goal. Over the four years Skill Share has been running Tansy has reached out to over a 1000 people, running close to 80 events a year. Community has been at the heart of the project and the sharing of knowledge and skills has made a big difference in people’s personal journeys to low carbon living. Andie (short for Andrea) Habeshaw was born in London, raised in Kentish countryside and, aside from a brief spell in Australia, New Zealand and Asia spent almost her entire adult life in Scotland. A graduate in English and Theatre, she lives in rural Fife with her two primary aged kids. She is a former journalist who has worked for Friends of the Earth Scotland, RSPB Scotland and on the Edinburgh Congestion Charging Campaign. In her spare time she is the Fife Convener for Upstart, the campaign to change the school starting age in Scotland to seven. She grows her own veg, keeps chickens and enjoys camping, cycling, hill walking and snowboarding. 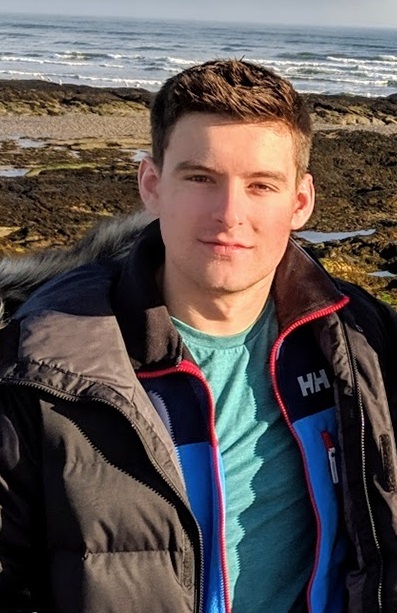 James graduated from rural Keele University in 2018 with a BA (Hons) in Human Resource Management and International Business, from there he moved to St. Andrews in September 2018 to undertake an MLitt in International Business. He is a keen cyclist and most recently cycled 500 miles in five days from Cologne, Germany to Stoke-on-Trent (his home town) in aid of a North Staffordshire based charity supporting children with life limiting illnesses. The newest member of the transition team, James is working on projects to promote the uptake of sustainable travel options on campus, as well as support cycling infrastructure developments around Eden Campus. James is happiest when he’s outdoors, hiking and eating peanut butter from the jar. Having recently graduated from the University of St Andrews with an MA in Sustainable Development, Sam is now the team’s new Project Officer. His role will focus mainly on all things waste related such as St AndRe-use and beach cleans, but will also be supporting the group with media and communications, as well as helping integrate sustainability into local research. As a student over the past four years Sam has played a role in several environmental projects, campaigns and groups. He volunteered with many of Transition’s projects such as St AndRe-Use, Bike Pool and Edible Campus; been involved in local campaigns such as Divestment: Fossil Free St Andrews and St Andrews Watershed, which aims to tackle single-use plastics across the University; and along with two friends in 2015 set up Pop Down Project, a waste awareness collective that focused on redistributing post-consumer foodstuffs in a cafe-like space. Now in a staff role, Sam is more than excited to be involved full-time in the local community around sustainability initiatives! On top of his love for nature and sustainability, Sam also enjoys his sports, spending time with mates and his dog, lucky. Kaska started her journey in Poland, tried Australia for a bit and finally ended up in Scotland just over 10 years ago. She is in love with her new home, its amazing people, white beaches, wide open spaces, ancient henges and brochs. She’s using her background in ecology and botany, along with experience in online learning and social media to support local projects involved in growing food, action on climate change and getting children and adults close to nature. She will be helping Transition St Andrews and their partners on Community Share for Climate Care project tackle climate change communications. She enjoys dancing, trying out new recipes from around the world and lighting a spark of curiosity in children’s eyes. After having grown up in Zimbabwe, Winks moved to South Africa where he studied Botany and Zoology. After graduating, he initially did research in mariculture (worked on a prawn farm), marine pollution and estuarine ecology and did his PhD in marine biology, before lecturing at Tertiary level at a University in the Cape, RSA. Funding from foundations like CSIR, FRD and the EU supported research on various topics including coral reefs, estuaries and mangrove ecosystems and facilitated comparative work in Mozambique, Tanzania and Australia, which resulted in a raft of publications and a book. In 2004 he emigrated to Scotland where he taught at St Leonards and volunteered with several groups including the Scottish Deer Centre, Transition and Men’s Shed. As an ecologist, he has witnessed huge anthropogenic changes to the planet such as marine pollution, deforestation and coral bleaching, so has become a passionate advocate of sustainability and a low carbon lifestyle. In his spare time he enjoys playing the pipes, walking, cycling, camping and travelling with his family.